AVIXA has announced the expansion of its multi-year, multi-market industry awareness campaign to the transportation industry, through an integrated program in cooperation with the American Association of Airport Executives (AAAE). 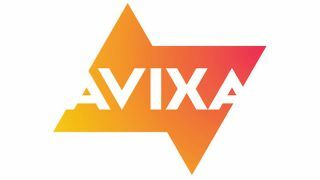 "AVIXA's effort to raise awareness of the impact of integrated audiovisual experiences in a range of customer segments continues to expand," said AVIXA CEO David Labuskes, CTS, CAE, RCDD. "Some of the most innovative, forward-looking audiovisual solutions are emerging in the transportation sector, in general, and the airport industry specifically. The program we are implementing with the American Association of Airport Executives represents an important step in creating new conversations between industries with the goal of using AV technology to transform the travel experience for passengers everywhere." The United States Department of Transportation estimated in 2016 that some 300 million people use the country's transportation system every day of the year. Growth in air travel is particularly strong. The Federal Aviation Administration forecasts that U.S. airline passengers will increase from 840.8 million in 2017 to 1.28 billion in 2038, an increase of more than 400 million. "Airlines and airport authorities, along with the associations that represent all segments of this growing industry, could benefit by focusing more time and resources on how to best integrate audiovisual experiences in ways that improve the passenger travel experience and generate better business outcomes for every stakeholder involved in modern travel," Labuskes said. As part of the program with the AAAE, AVIXA sponsored the 2018 AAAE Airport Customer Experience Symposium (March 6-9 in Dallas). It will also take part in the 2018 AAAE Annual Conference and Exhibition (April 15-18 in San Diego), hosting an industry roundtable discussion at the event, and participate in the 2018 AAAE Airport Innovation Forum (July 16-18 in Atlanta). The agreement also includes ongoing outreach and communication with decision-makers in the airport industry. "AAAE and airport executives across the country are searching for innovative approaches to enhance the passenger experience at their facilities," said AAAE President and CEO Todd Hauptli. "The creative utilization of audiovisual technology is a key element in delivering that enhanced experience, and we look forward to working with AVIXA and its members in advancing our shared goal of identifying and delivering solutions at airports that will better serve our communities and the traveling public."